It's 3am and pouring with rain, a rather inebriated, lone female, meanders along Bishopsgate after leaving a wine bar near Liverpool Street Station. Worrying about how she's going to get home she sees, a vehicle trundling towards her, with an Orange light cutting through the gloom like a laser beam. After waving her hand frantically like a windsock caught in a gale, the driver of the vehicle with the Orange light stops on a sixpence..... "where to luv ?" a weary, slightly gravelly voice enquires. In a rather slurred, but comprehensible voice, comes the response. "Could you take me to Wanstead please ? ", "no problem, hop in." The lady has just hired a licensed London taxi and is about to get home in one of Londons safest forms of transport. Often referred to as London's fourth emergency service, the licensed London taxi Industry has been serving the population of London for over 350 years. Licensed London Taxi Drivers are held in high esteem worldwide, and have been consistently voted the best Taxi Drivers in the world. This is no accident or fanciful opinion based on bias, rhetoric or slick PR, this is based on cast iron fact via year on year surveys. The reason why the London taxi driver is lauded as the best in the world is down to the hard work and mental investment required to pass a series of tests that make up a phenomenon called The Knowledge. The Knowledge itself is a mystery to those who have never embarked upon it. The common misconception is that it is merely a series of tests to see if you can get from A to B, however, nothing could be further from the truth. The Knowledge is a test of endurance, temperament and learning in excess of 25000 roads as well as a few buildings on those roads. The Knowledge is considered by some to be harder than obtaining a degree, primarily because there are no guide books to teach you and no set way of learning.....it is solely down to the individual how they get through, there is no "monkey see, monkey do" style of education to be had here. The Knowledge is so challenging that a section of the brain called the Hippocampus physically alters. This particular segment of the brain is directly linked to memory function. The series of tests can last between 3 and 4 years, depending on the aptitude of the applicant. It is so difficult that there is a 70% drop-out rate amongst candidates who initially undertake The Knowledge. Once an applicant has signed onto The Knowledge, he or she is given a list of routes called runs, there are 320 of these runs which criss-cross London. This is called the Blue Book, which for some strange reason was coloured Pink. These runs are learnt by "running them on the cotton." This means that all of these runs or routes are learnt and "called" on a straight line, rather than what may be the fastest route. The reason for this is so a Knowledge candidate can learn the myriad of roads, whether they be A or B roads (sometimes called Oranges and Lemons) or the very minor roads, rather than sticking to a formulaic "quickest route" system, which may mean that they never learn where certain roads are. Along these routes the Knowledge boy or girl will pick up "points" along the way. These points are actually buildings or points of interest, these must also be committed to memory. A Knowledge candidate will circumnavigate a quarter mile radius of both the start and finish point of a run picking up points. The reason for this is primarily because it is unlikely that am examiner will ask a direct run, for example Manor House Station to Gibson Square may be asked as Clissold Park to Islington Police Station. This means that any Knowledge candidate really has to go out and physically look around any given area, making it almost impossible to learn solely off of the map or through parroting. There are no books to help you, but there are schools which will guide you. Over the years The Knowledge has changed somewhat, certainly 3 decades ago it wouldn't be uncommon for a Knowledge candidate to be calling a run to an examiner whilst the examiner was sitting there picking his nose whilst doing The Times crossword puzzle, and seemingly oblivious to a candidates every utterance. Unfortunately for the poor unsuspecting Knowledge candidate, the examiner was not only listening to every utterance, but even if you were "on the cotton" he (there were no female examiners at that time) would utterly destroy the individual. This destruction was not because the examiner was a sociopath, or an ego-maniac, it was done to test the candidates temperament. A reaction from any candidate could see them thrown off of The Knowledge, or "put back." Knowledge candidates all start on "56 days" which means that they appear or are tested at 56 day intervals. This reduces down to 28, 21 and 14 days as progression is made. Once a candidate reaches "14s" he is then required to do his suburb runs before obtaining his or her "rec." Its at this point the candidate books their drive, learning how to drive the taxi and then having a driving test on that vehicle. One of the variants from 3 decades ago is the map test, also currently there is no driving test due to the DVLA withdrawing from testing drivers who wish to operate that particular category of vehicle. Transport for London are currently looking to reinstate the drive once a suitable testing company can be sourced. There are just under 24000 Taxi Drivers in London, approximately 12% being Yellow Badge (Suburban) drivers, the remainder are Green Badge (Full London) drivers. Contrary to popular and highly misinformed belief the London taxi trade is not the sole domain of your typical White, working class, heterosexual male who resides in the East End of London and has an opinion on everything, the industry's workforce comes from a much diverse and more complex demographic than that. The London cabbie of the 21 century is made up of a myriad of different ethnicities and orientations as well as an increasing number of women within the trade. 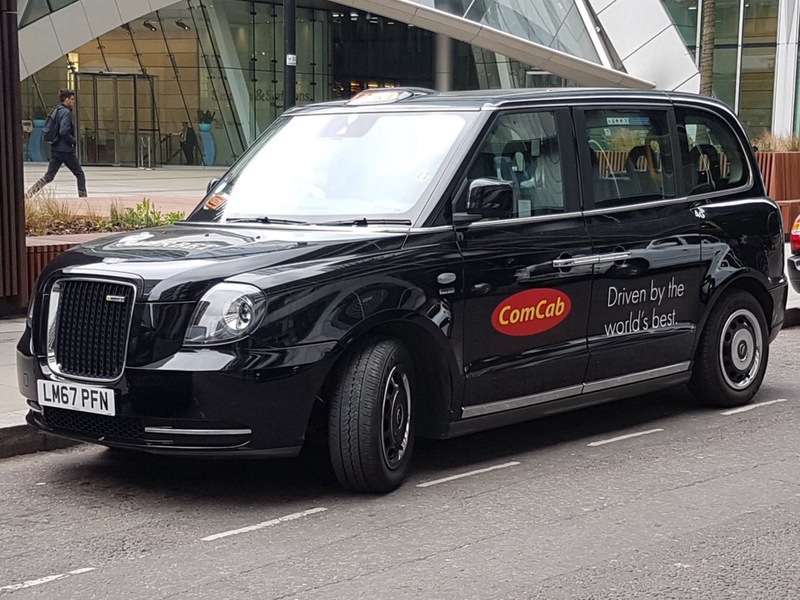 This slow but steady evolvement and diversification seems to have largely gone unnoticed by both the media and the general public and as a result the London taxi insustry has suffered somewhat unfairly. Redressing that balance is a difficult task when you consider that every driver is self-employed and up until relatively recently there has been very little PR attributed to the industry. Again this is slowly changing as the industry becomes more socially aware and media savvy. There are a sizable proportion of taxi drivers in London who are 2nd and 3rd generation Cabbies, upholding the proud traditions of what has become a family business. Conversely many drivers have come from other industries such as the world of finance, acting, sport, firefighting, the police service, the list is endless. 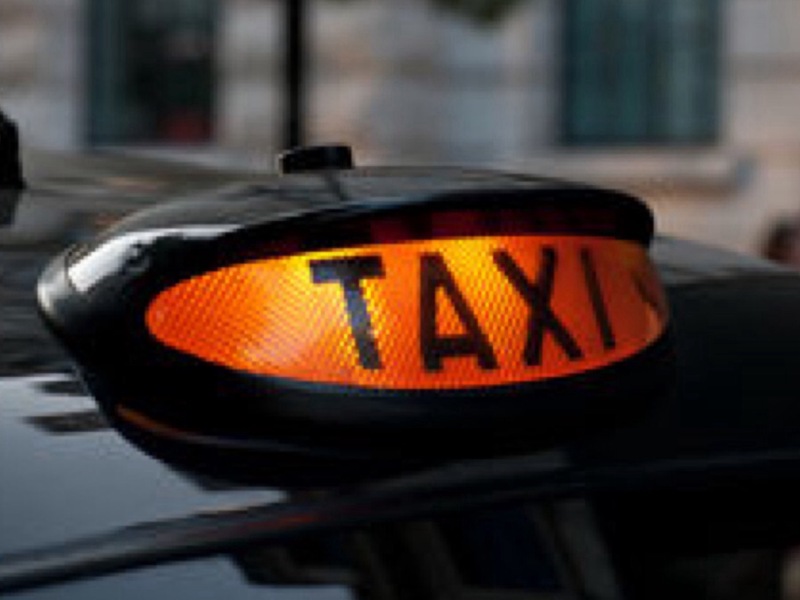 Driving a licensed London taxi is a profession of choice, a commitment and a lifestyle choice, it is not a stop-gap until something better comes along. A common misconception amongst those who are terminally ill-informed or who would find some kind of profit in the industry's demise is that The London cabbie is a technological dinosaur, a Luddite, nothing could be further from the truth. 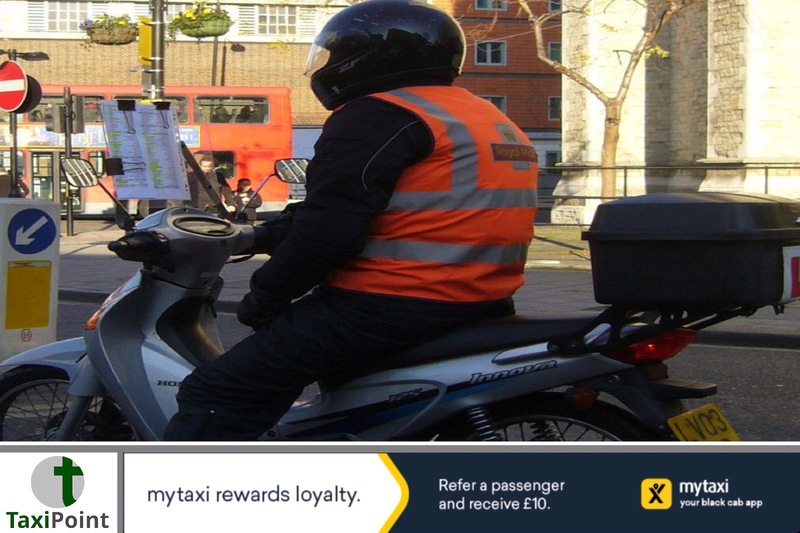 The London taxi industry has been at the cutting edge of technology time and time again. London taxis were the Guinea-Pigs for the use of emmission reducing systems back in the early 2000s, satellite technology was used by ComputerCab around that time via the Mobistar system and contrary to popular belief the London Taxi industry had the first app-based technology. There are several radio circuits as well as four phone apps for drivera to use and customers to choose from, as well as all taxis having credit card facilities, clearly the word Luddite is a complete misnomer. Some drivers do use SatNav in the same way as the good old A to Z was used to locate a turning, it's nothing more than a minor aid, it's never used as a replacement for what the cabbie has stored in his memory, after all there is no more powerful computer than the human brain. The London taxi and its driver are a quintessential London entity, there are approximately 140,000,000 journeys are undertaken every year, its a big business with a lot more going on behind the scenes than just a driver taking the public from A to B. The London taxi industry is an evolving beast, but the one thing that remains is that they are the best, most professional taxi iservice on the planet.